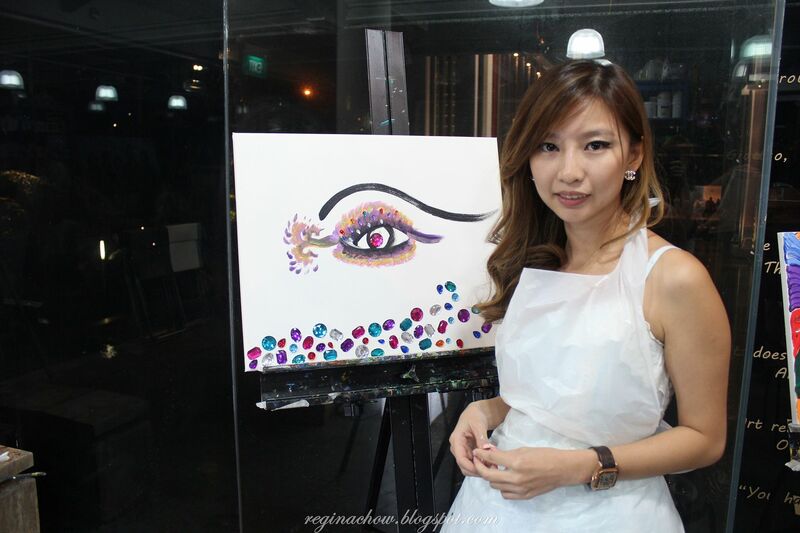 I was invited to the Laneige BB Cushion Party a while back at My Art Space. 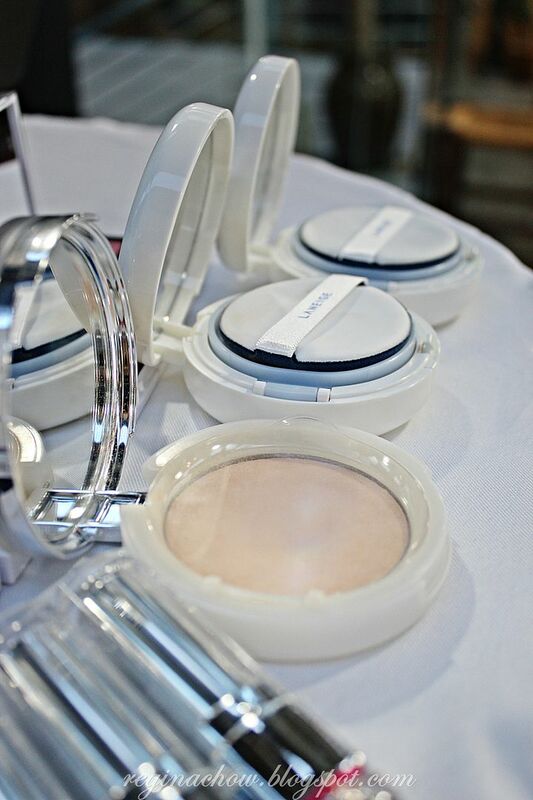 For those of you who are familiar with Laneige’s products, you would probably know that the BB cushion is not a new product and thanks to the generous team at Laneige Singapore, I have been using the BB cushion for some time prior to the event. While I only use sunblock without any foundation on a daily basis, there are times when I feel I need just that extra hint of coverage. That’s when I turn to Laneige BB cushion. I adore its dewy, brightening effect, and I absolutely love that it comes with SPF50+ PA+++, which is great for touch-ups during the day. 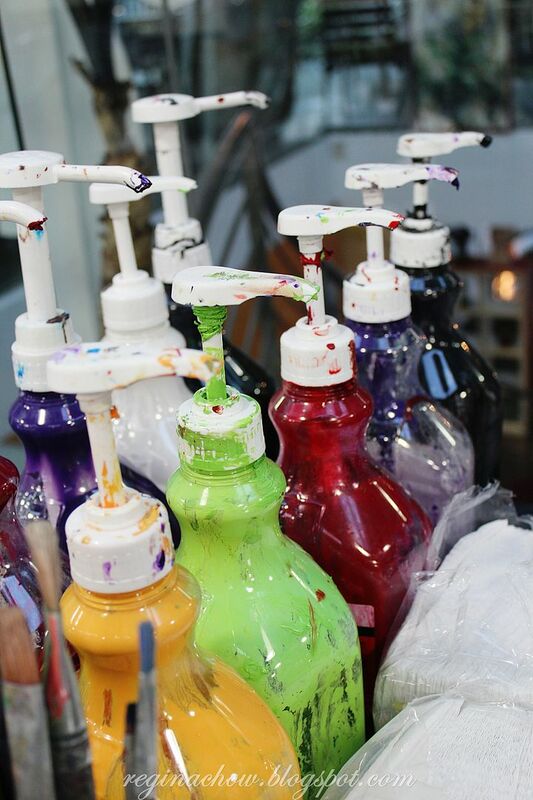 Unlike the typical BB creams in the market, you’ll also feel a cooling sensation upon application, which makes your skin feel instantly refreshed amidst the sweltering heat. 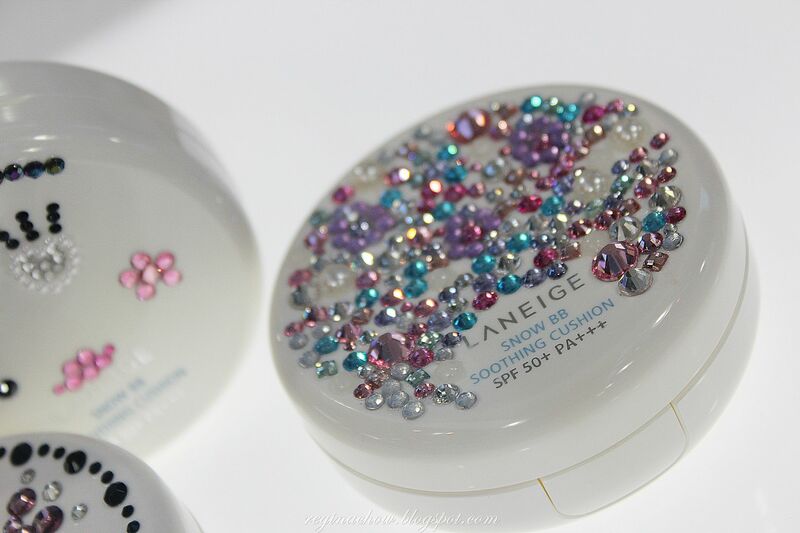 Since its launch earlier this year, the Laneige BB Cushion has become such a popular product that it was completely out of stock when I visited Korea in July! To cater to ladies of all skin tones, the BB cushion now comes in 5 shades, namely 13 True Beige, 21 Natural Beige, 23 Sand Beige, 31 Brown Beige and 33 Coffee. The latest shade, 33 Coffee was launched in Sephora in September 2013. 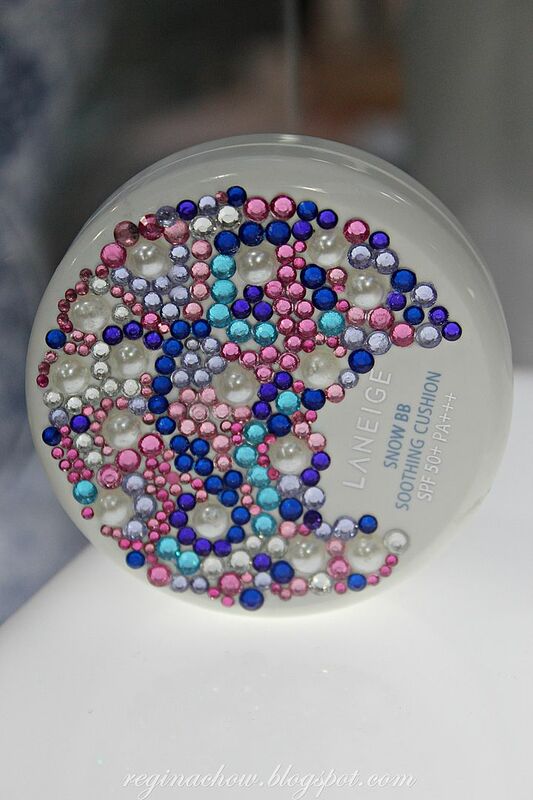 Also, Laneige BB cushion now comes with a DIY kit that includes an assortment of embellishments, crystals and stickers so you can beautify your bb cushion to reflect your personality. 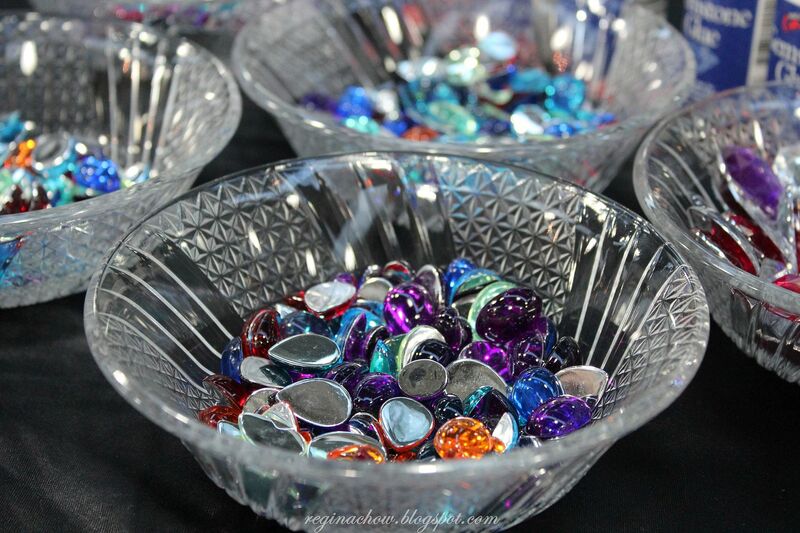 How very thoughtful! 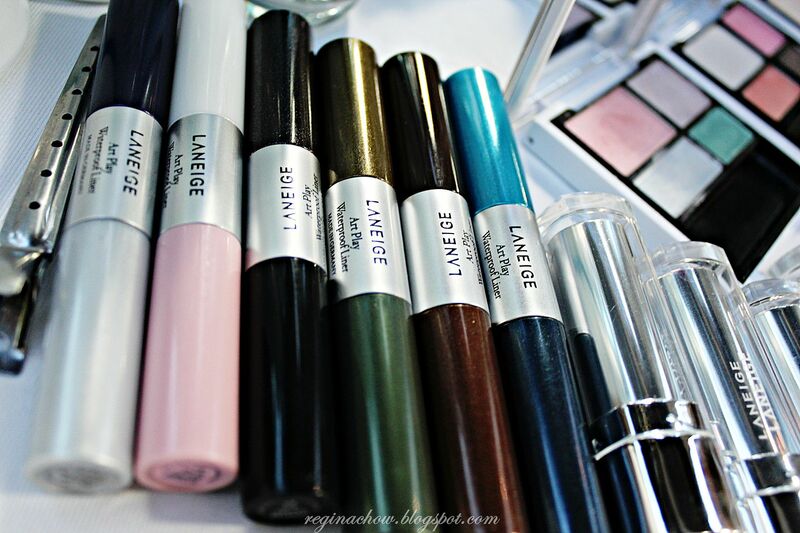 I attended the event with Karen and we were also introduced to some new Laneige make-up items, including 6 New Shades for the Silk Intense Lipstick range as well as Artplay Eyeliners which feature dual colours in complementary shades to suit every occasion. 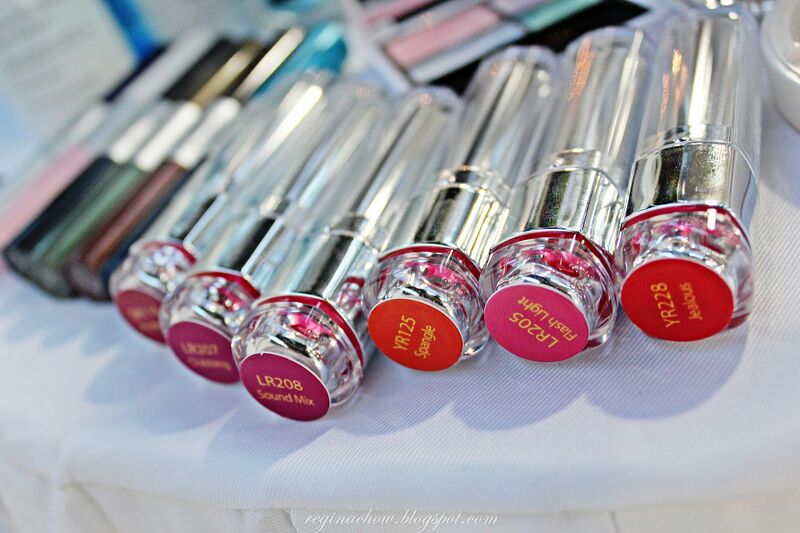 Both of us were fascinated with the artplay eyeliners as they come in such a wide array of colours, ranging from subtle, neutral hues to bright, bold hues which are versatile enough for both day and night looks. 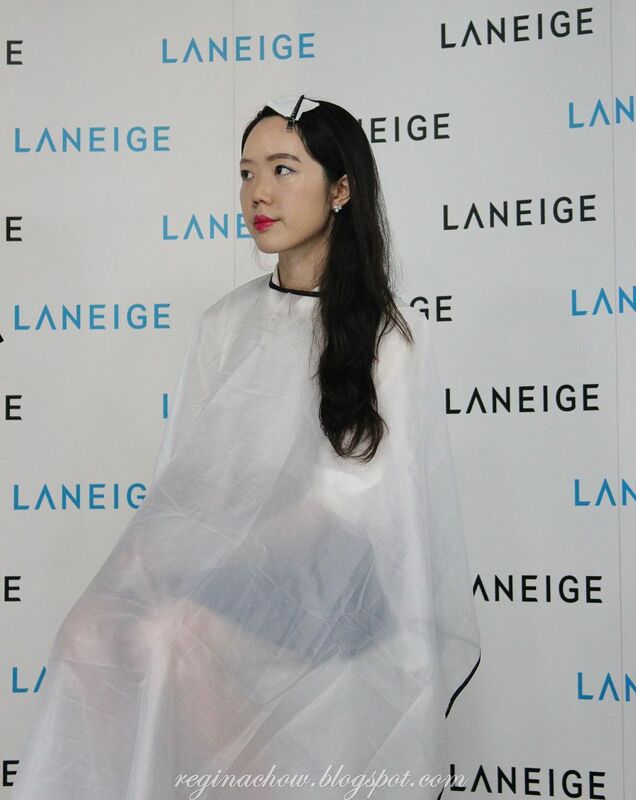 A live make-up demonstration was conducted to give us a better idea of how Korean style make-up can be done with these new products. I loved the dramatic transformation that was achieved with just a touch of BB cushion, artplay eyeliner and a dash of lipstick. The model looked radiant and effortlessly chic in a matter of minutes! 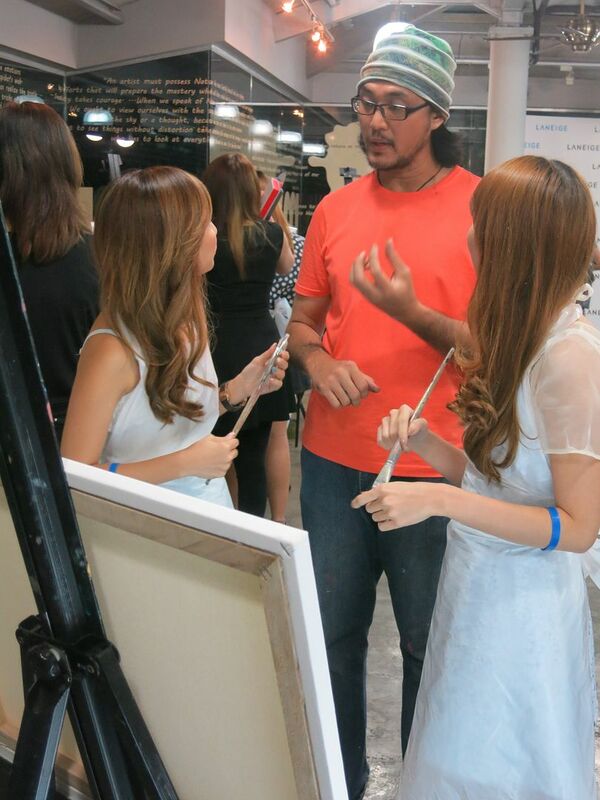 Next on the agenda was a hands-on painting session for all the bloggers. 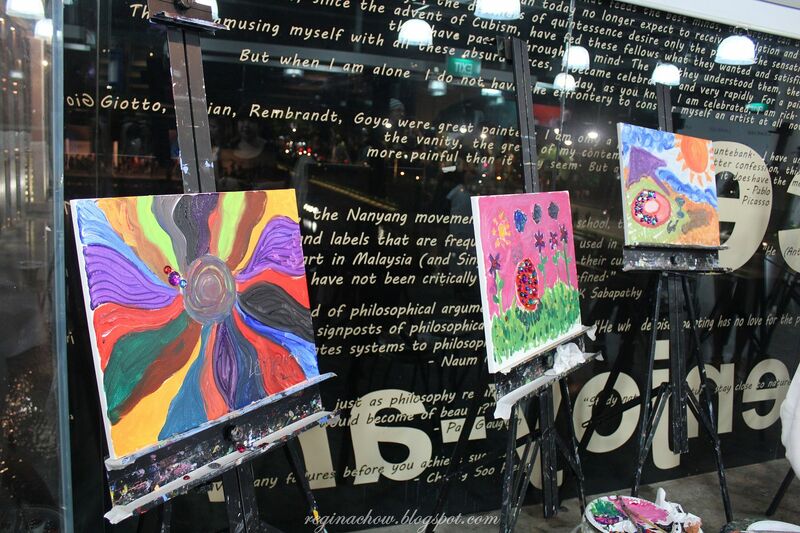 We were told to express through art what we felt about the BB cushion and its benefits. 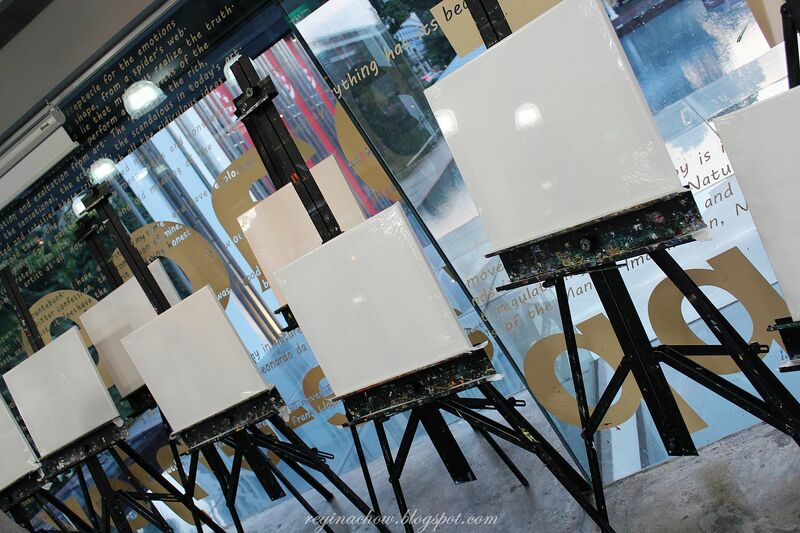 The last time I painted was in secondary school, and I have never worked with acrylic paint, so you can imagine how daunting this task was for me! Karen and I hesitated a little initially, but we eventually took the plunge and two hours later, our masterpieces were born. 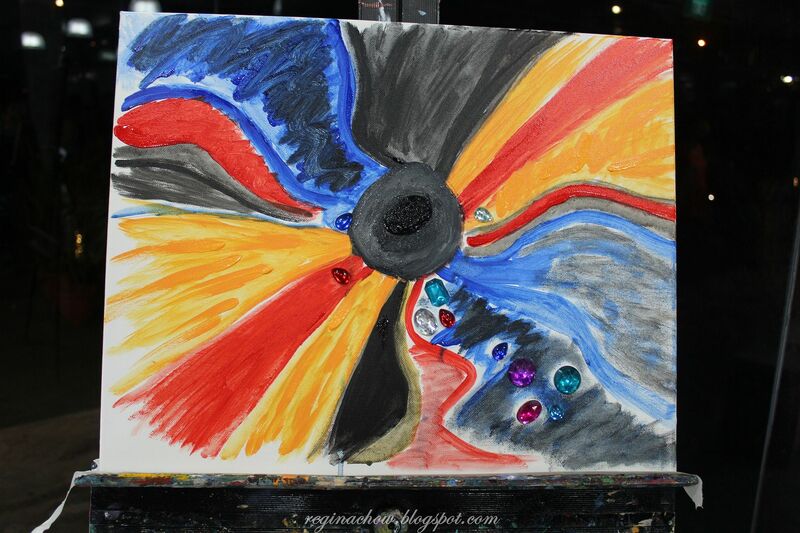 My amateurish painting was characterized by bold brush strokes as I thought this was probably the easiest way to fill up the entire canvas. 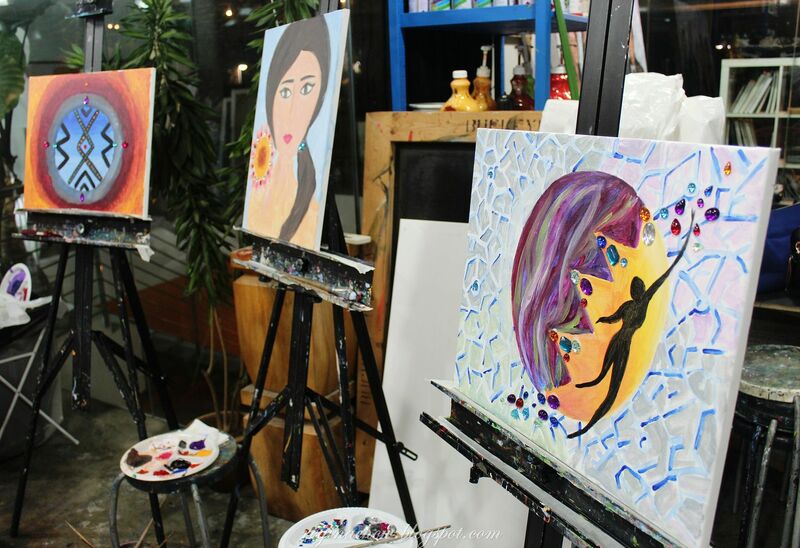 The painting depicts how Laniege BB cushion could dispel the darkness of dull skin (shown through the black and grey brush strokes) and brighten up our skin, making us radiant, cheerful and glowy, just like the rays of the sun. 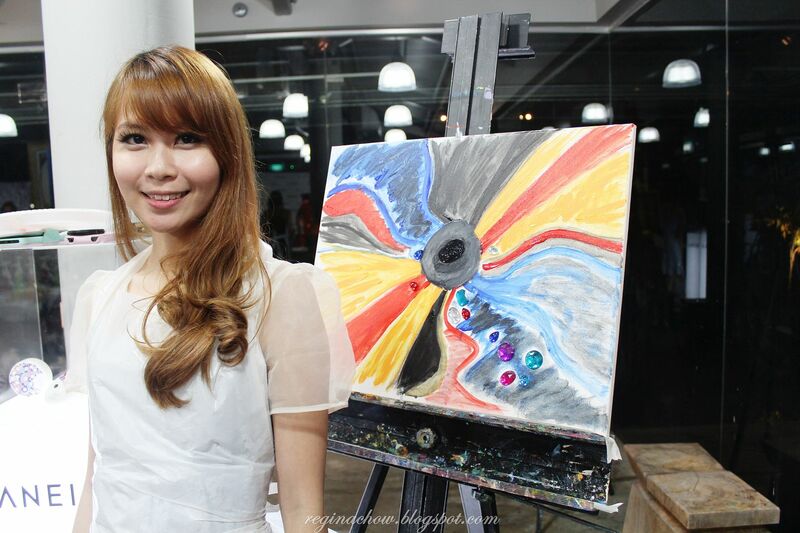 I also loved Karen’s painting of a beautiful eye surrounded by a myriad of colours. 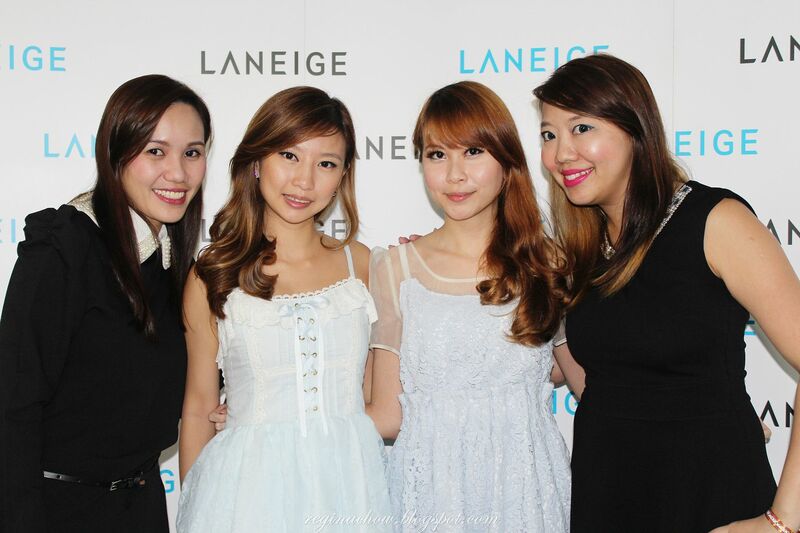 Thank you Laneige Singapore for having us! We each received a BB cushion, Artplay Eyeliner and Silk Intense Lipstick at the event and I will be doing a review of these products soon. Meanwhile, I'll be rounding up this post with some outfit shots. 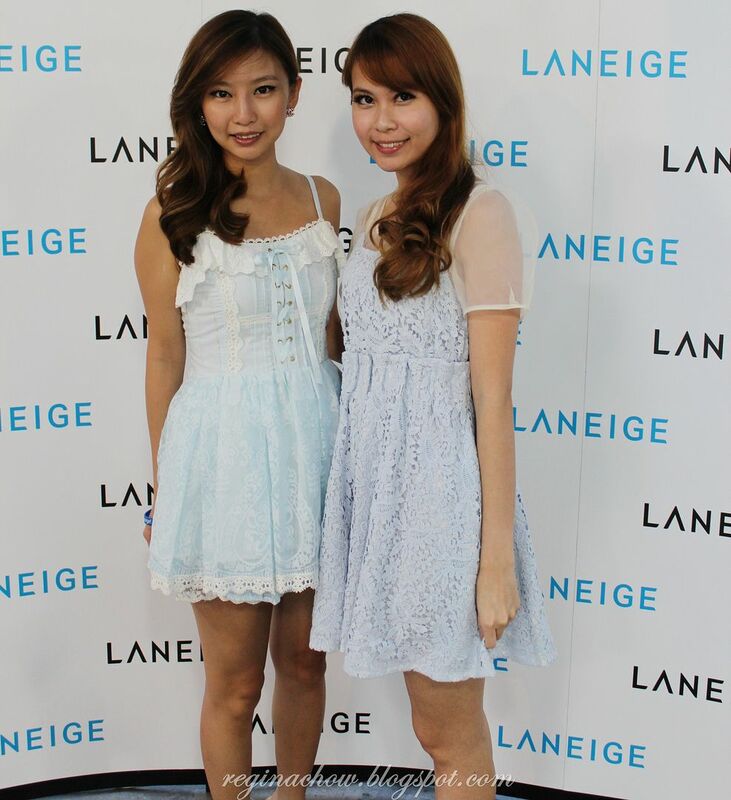 It was such a coincidence that Karen and I both came in blue and white, which are classic Laneige colours!